The AST is saddened by the death of Dr. Paul I. Terasaki, 86, HLA Transplant Pioneer and Professor of Surgery at UCLA. He passed away on Monday, January 25, 2016 at his home in Beverly Hills. 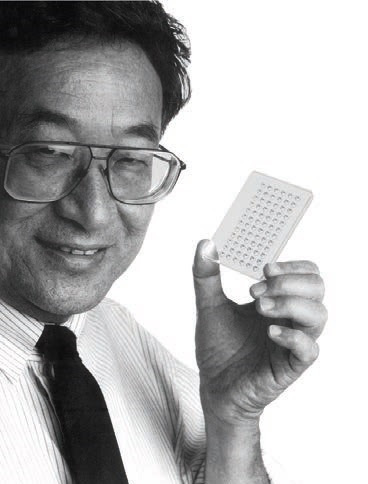 As a founding member of this society, Dr. Terasaki will be remembered by many as a true leader in the field of transplantation. "Dr. Terasaki's death is a huge loss -- not only for his family and friends, but also for the fields of histocompatibility and transplantation. He was a brilliant scientist, a visionary, but even more so an inventor and an entrepreneur. His scientific contributions moved the field forward by showing that an understanding of HLA and non-HLA antibodies are critical to the success of transplantation. His tireless dedication ultimately resulted in the creation of tools and assays that made histocompatibility testing accessible to labs across the world. His work earned him the AST's prestigious Lifetime Achievement award in 1997, and several other groups have recognized his tireless efforts as well. He will certainly be missed." In lieu of flowers, donations can be made to the Terasaki Foundation: 11570 Olympic Blvd, Los Angeles, California 90064. Funeral services will be held on Saturday, February 6 at 2:00 pm at the First United Methodist Church of Santa Monica: 1008 11th Street, Santa Monica, California 90403. A memorial service is planned for Sunday, March 6, 2016 at UCLA Royce Hall starting at 11:00 am. For additional information, please contact the Terasaki Foundation at info@terasakilab.org.